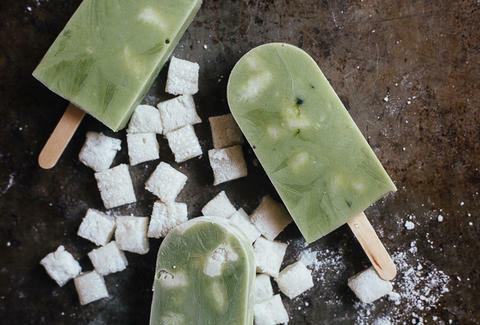 Though our ideal popsicle has bourbon frozen inside it, we're still pretty jazzed about these pops by My Name Is Yeh, which are loaded with matcha (powdered green tea) and mochi (chewy rice cake bits). Add in some plain yogurt, honey, salt, vanilla extract, and almond extract, and you've got a sweet treat that's way more unique than a fruit pop... even if that fruit pop has the exact same coloring. Kristin Hunt is a food/drink staff writer for Thrillist, and thinks Matcha Mochi is a pretty solid band name. Follow her at @kristin_hunt.